Enjoy all thinks Rockets and Out Of Space. This box has 2 wonderful Blast off projects included. 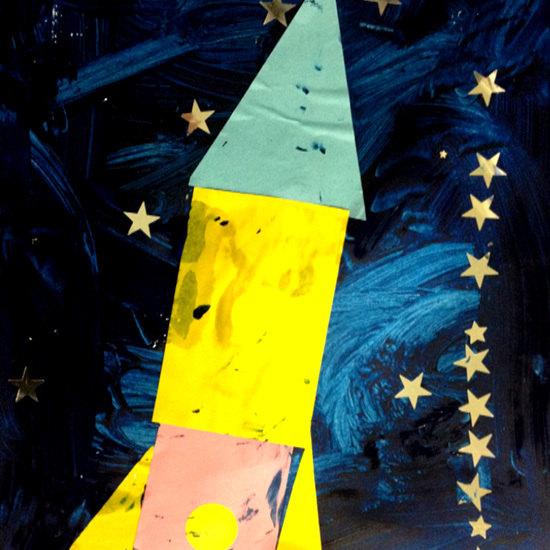 Firstly create your own rocket canvas, included are colourful card shapes to build your rocket, acrylic paints for wonderful sky backgrounds, stars and embellishments and plenty to inspire. Also included are all the materials you will need to design and build your own 3D Rocket, with card pieces, cones and cylinders, colour tapes, collage papers, and more. This is for the paints and materials included in your box so pick colours you would like to do the artwork in, choose one or two colours only.